On this day—February 27—our Anglican friends remember the George Herbert. Let us join with them in doing so. 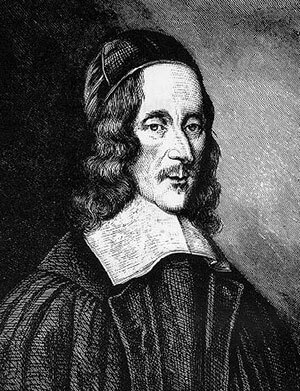 Prayer: O Lord, we remember with thanks this day your servant George Herbert, priest and poet. May his writings, which speak beautifully and deeply of Your grace, be for us a source of comfort, and a strengthening of faith also for all who believe the Gospel. In the name of Jesus Christ—Herbert’s Lord and our Lord—we pray. Amen. Yet few there are that found them; Sinne and Love. His skinne, his garments bloudie be. To hunt his cruell food through ev’ry vein. Which my God feels as bloud; but I, as wine. 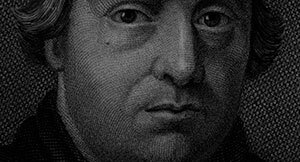 My latest at First Things went up a few days ago (February 18), to coincide with the anniversary of Luther’s death. Since then, it’s been picked up by Real Clear Religion and the Gospel Coalition, among other sites. On this day in 1546, Martin Luther fell asleep in the Lord. Lutherans therefore recognize him this day and thank God for him. But let’s be honest: Luther wasn’t always a very nice man. (The title of this post is taken from Anthony Sacramone’s tweeted description of my article). 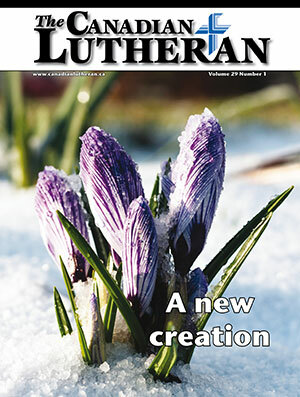 My latest for the January/February issue of The Canadian Lutheran reflects on the darkness of winter, St. Clement, the sowing of seeds, and resurrection hope. When I first moved to Winnipeg from Regina a few years ago, I couldn’t help but notice little differences between the two communities. I learned quickly, for instance, that Winnipeg was about three times larger than Regina; it took me much longer to travel “downtown” than I had previously been used to. The natural landscape differed too, as I exchanged Wascana Lake for the Red and Assiniboine Rivers. I also learned that, during football season, blue—not green—seemed to be the color of choice here. In short, I noticed all sorts of things that distinguish the capital of Saskatchewan from the capital of Manitoba. But the thing I noticed first was the darkness. During my first few weeks of work, I would leave the office to find the sun had already set. By the time I made it home, the sky would be completely dark. It’s not hard to understand why: during the winter, Saskatchewan and Manitoba share the same time. When it’s 5:00 p.m. in one, it’s 5:00 p.m. in the other. But because Regina is so much further west, the sun doesn’t set so soon there as it does in Winnipeg. In fact, sunset comes about a half hour earlier in Winnipeg than in Regina. In December—the month in which I moved—the sun sets around 4:30 p.m. in Winnipeg. In Regina, it hangs on until 5:00 p.m. My move then was just in time for the darkest part of the year. And dark it was. The change reminded me of the severity of winter in a new way. Yes, Saskatchewan and Manitoba are both cold. But the quicker onset of night in Winnipeg made the winter seem somehow colder. As a result, I’ve learned to love mid-January. Every day, the darkness seems to grow a little less when I leave the office. I see the twilight glowing brighter, and I know: the old, cold world of winter is giving way to the coming spring. And though I realize that spring is still rather distant, joyful expectation begins to fill me. Something new is happening. A new world is coming. Christians have long invoked the signs of spring as symbols for resurrection hope. 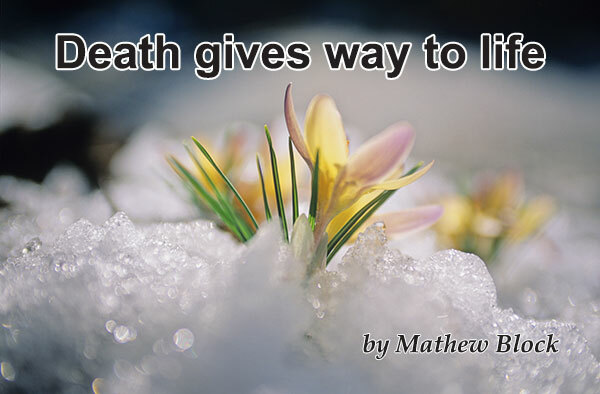 The barrenness of winter symbolizes death; but as the snows melt, life re-emerges in a mini-resurrection. As the snows melt, the crocus blooms! Captain Thin is powered by	WordPress 5.0.4 and delivered to you in 0.385 seconds using 35 queries.